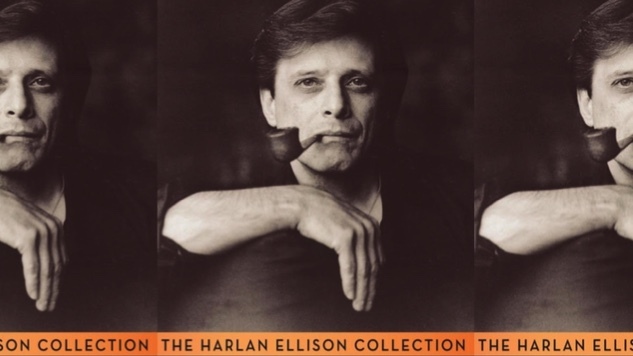 The legendary—and divisive—science fiction writer Harlan Ellison has died, as announced by Christine Valada on Twitter Thursday at the behest of Harlan’s wife, Susan Ellison. Ellison died in his sleep; he was 84. Ellison is arguably most famous for penning what many consider to be the finest episode of Star Trek ever written, the first season’s penultimate episode, “The City on the Edge of Forever.” In the episode, Kirk goes back in time and falls in love, but must let the woman die to prevent the Nazis from winning World War II. Famously argumentative, Ellison picked a lot of fights during his career. He sued AOL for copyright infringement and accused James Cameron of ripping off a script he wrote for Outer Limits in The Terminator. He demanded payment for his work and was known for his unofficial catchphrase “Pay the writer!” (as well as the laughably crotchety soundbite, “I don’t take a piss without getting paid for it.”) Still, Ellison invested in other authors. After meeting fellow science fiction great Octavia Butler at a workshop in 1970, Ellison would buy some of her early work and go on to serve as her mentor. An outpouring of tributes have emerged on social media following Ellison’s death. Watch a trailer for the 2008 documentary Dreams with Sharp Teeth below to see Ellison at his cantankerous best.